It takes natural talent to stand out in a crowd and just like that, the Fiat Panda has everything you need to steal the show. One look and it’s clear – the Panda is artistic innovation on wheels. When it comes to design it doesn’t get much better than this. I took a test drive in this fun and feisty Fiat Panda at New Vaal Motors South. 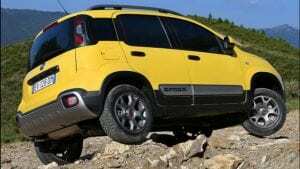 The Panda has rugged bumpers with a skid plate, side mouldings and wing side strips, roof rails and 15-inch steel wheels that feature a unique hubcap design, making any damage done off-road less costly and more maintainable. From its robust and solid exterior the Fiat Panda is charming with a bright and cheeky flair created by its bright body colour. Very cool and funky colours are available, including a bright yellow, which is unique to the Cross model. The interior is simple yet practical with comfortable seats as well as chunky and functional dials and buttons, which due to their size, are easy to handle while driving. The position of the controls and gear knob make driving more enjoyable too. The Panda is so comfortable, practical and cozy you will fall head over heels in love. This makes it the ideal car for those long, languid road trips. And with 14 different storage compartments there is more than enough space. The natural fabric seats match the side and door panels, while the dashboard forms an integral part with the rest owing to high quality black trim with satin finish instrument frame and central unit. The steering wheel with integrated controls and gear knob – both in leather – come standard. The Uconnect radio offers Bluetooth, streaming audio, AUX and USB ports, a voice recognition device with SMS reader, MP3 and much more. The Panda has ABS complete with Brake Assist System, front anti-whiplash headrests as well as Electronic Stability Control with Hill Start Assist. With the Panda Cross Drive Mode Selector, you can personally select whether to use the four-wheel drive and choose from three different options designed to help you in and out of any situation – and all types of terrain: Auto, Off-road and Gravity control, which offer full control on particularly steep descents – even broken terrain – by braking automatically and controlling vehicle speed. 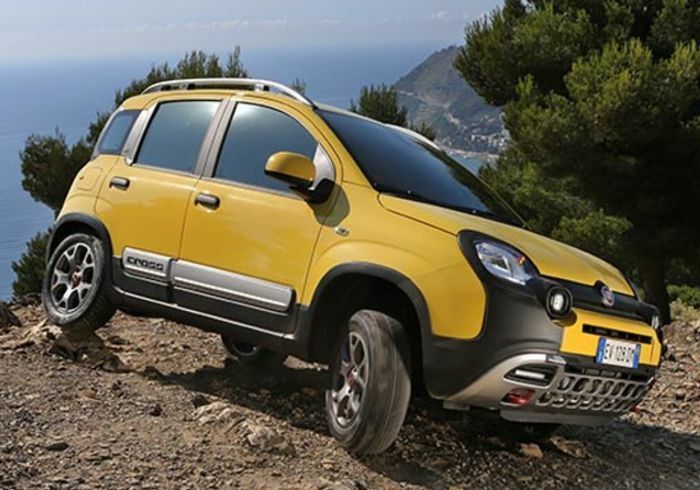 The Panda 4×4 model offers 63kW at 5500 rpm, while the Cross offers 66kW at 5500 rpm, both models have a 900cc engine with 145Nm of torque. The Fiat Panda offers the quirk of a city car and the 4×4 models prove that you can have a stylish and capable 4×4 vehicle without having to fork out your life savings. Contact New Vaal Motors South on 011 436 0555 for more information about their special offers or to book a test drive.